Valentine's Day is coming up! The stores are filling their aisles with Valentine themed products and especially...CHOCOLATE. I am a big fan of chocolate, but when food allergies entered our family, we stopped eating a lot of these special treats because of nut warnings. As my children are getting older, simply ignoring those store aisles doesn't seem to cut it. If I want to give my children a safe chocolate treat, I need to make it myself at home or order from a nut safe company. I keep hearing people suggest Vermont Nut Free Chocolates so it's time for me to try them for myself to see if they are as good as I've been told. So, are there any observations or problems I encountered with Vermont Nut Free? If I had ordered these items online for us to use for Valentine's Day, I would be 100% happy with our purchase. Since I am reviewing these purchases to help you make an informed decision for yourself, I will be as picky as possible. The detailed designs on the large chocolate hearts have a few tiny holes where air bubbles were stuck in the chocolate when the items were made. 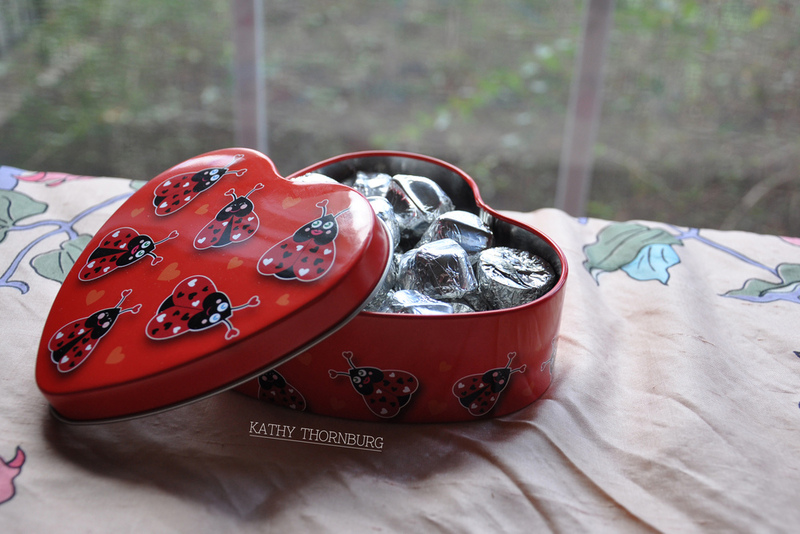 Also, the dark chocolate drops that came in the heart shaped tin were a little hard for my small children to bite into. The thinner pieces of milk chocolate were much easier for my kids to eat. All in all, I would definitely suggest Vermont Nut Free Chocolates to others. They are a highly trusted source for special treats. Personally, I tend to prefer to make my own creations so I believe their most valuable products are their chocolate chips and candy melts. I would love to see them start offering candy melts in a variety of colors. What would you like to see them start making next? Check out our video review of Vermont Nut Free Chocolates to get a better view of some of the Valentine's Day products they have available. Subscribe to my YouTube channel for more videos to come soon! Disclaimer: We were provided with the four Valentine items listed in our YouTube video in order to try out the product and give our honest opinion to our readers. We hope you enjoy them as much as we do!